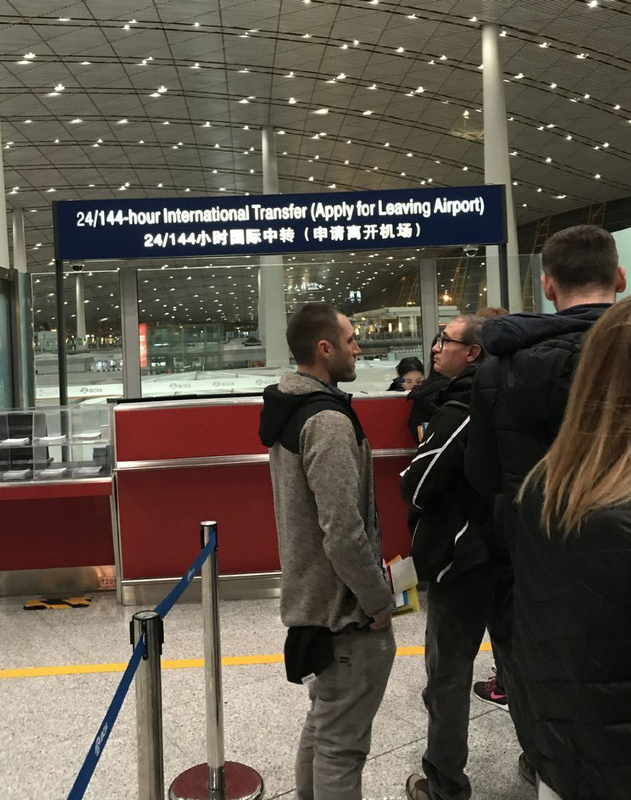 Beijing Capital International Airport now (since Dec. 28, 2017) adopts 144-hour visa-free transit to the holders of passports issued by the following 53 countries:Albania, Argentina, Austria, Australia, Belgium, Belarus, Brazil, Brunei, Bulgaria, Bosnia and Herzegovina, Canada, Chile, Cyprus, Czech Republic, Croatia, Denmark, Estonia, Finland, France, Germany, Greece, Hungary, Iceland, Ireland, Italy, Japan, Latvia, Lithuania, Luxembourg, Malta, Mexico, Macedonia, Monaco, Netherlands, New Zealand, Poland, Portugal, Qatar, Romania, Russia, Republic of Montenegro, Singapore, Slovakia, Slovenia, South Korea, Spain, Sweden, Switzerland, Serbia, United Arab Emirates, Ukraine, United Kingdom, United States. According to our experience, some of the countries are not belong to the 144-hours visa free countries, but if your layover time within 24 hours in Beijing, you still can obtain the visa free for 24 hours. Such as: India, Philippines, Indonesia, Norway, Columbia, Ecuador, Panama. It only applies to passengers who transit through Beijing Capital International Airport in Beijing. The destination and place of departure cannot be the same. (e.g Auckland – Beijing – Auckland). Please see details at: https://www.beijinglayovertour.com/beijing-layover-tour-tips/. Even you fit all the policies above, the immigration officers still have right to object you for some reasons (sometimes they will tell you the reason sometimes they don’t). If you want to be 100% sure, please apply for the visa in advance in Chinese Embassy. We found some reasons that cause you can not obtain the Visa-free. 1. The validity of your passport less than 3 months. 2. Worked or been to Iraq, Turkey, Pakistan. As a tour company, if we agree to arrange tour for you that is means your flights information, layover time and your nationality fit the visa free policy requirements. But there are still some other issues might happen that might cause you can not obtain the visa-free or can not get out of the airport.